Laptop bag. Made of polyester and PVC. With shoulder strap.Size: 34 cm high, 41 cm deep, 16 cm wide. This small piece of luggage is ideal for taking along with you at all times your computer or your tablet, whether you are on or off the pitch, in your free time. 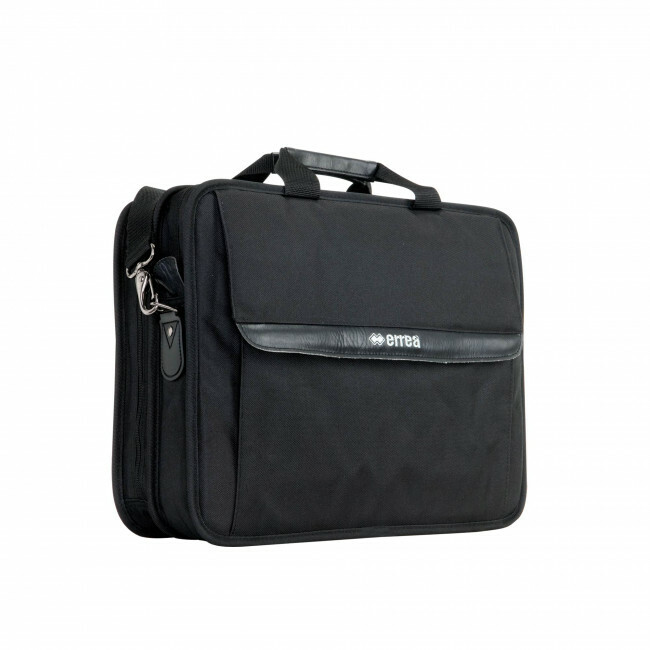 Characterised by a classic, polished and elegant design, this bag features two large compartments to house your laptop, your tablet, documents and everything you need. On its front you will find a practical Velcro-closure pocket. To carry it when and wherever you need to, you will find a leather-covered handle and a padded shoulder strap, to maximise comfort.